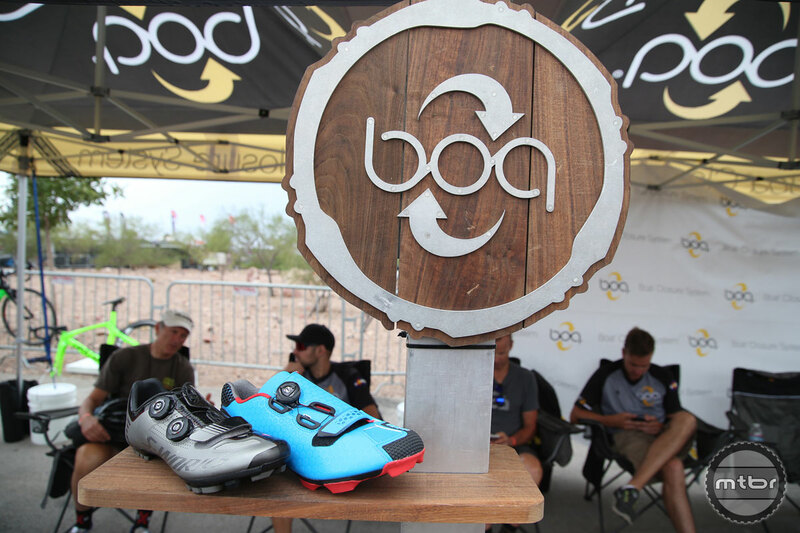 Boa Technology highlights its new IP1 and S2-S dials, along with new custom color dial options for Interbike. 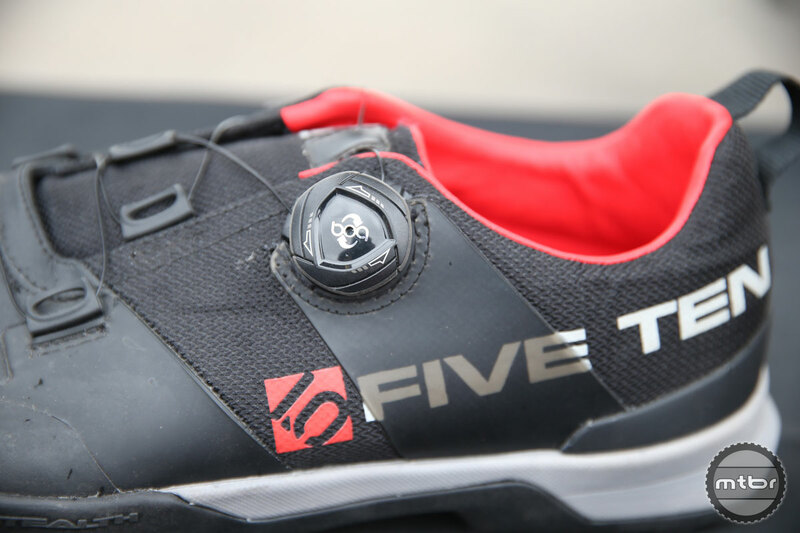 Mike De La Rosa, marketing coordinator for Boa Technology, shows us new custom colored dials for Interbike, S2-S dials on a Specialized S-Works shoe and the new IP1 cycling dial on the Five Ten Kestrel shoe. 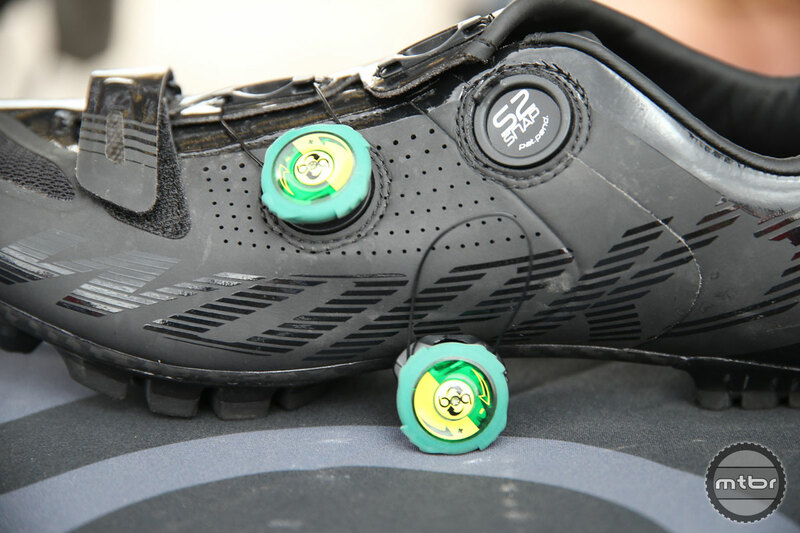 New custom colored dials are available for Interbike in green and yellow options. 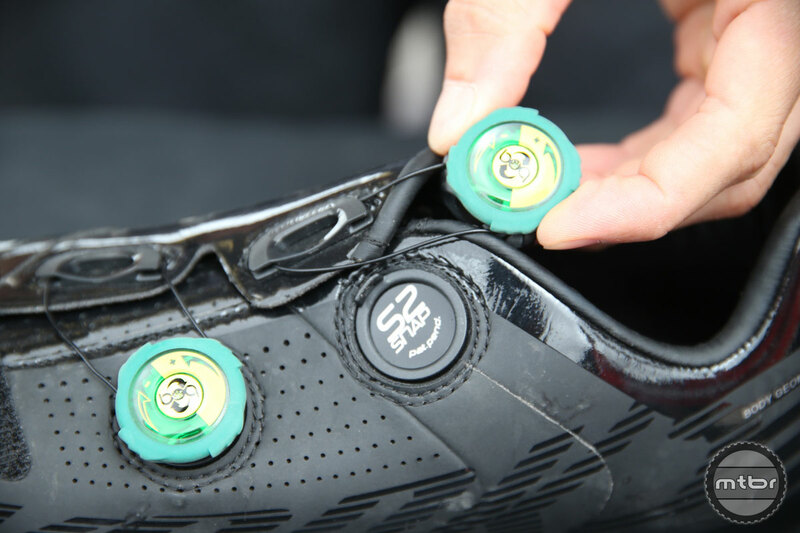 The Boa system offers a customizable fit with 1mm-at-a-time incremental adjustment. It is also fast and easy to adjust on the fly. 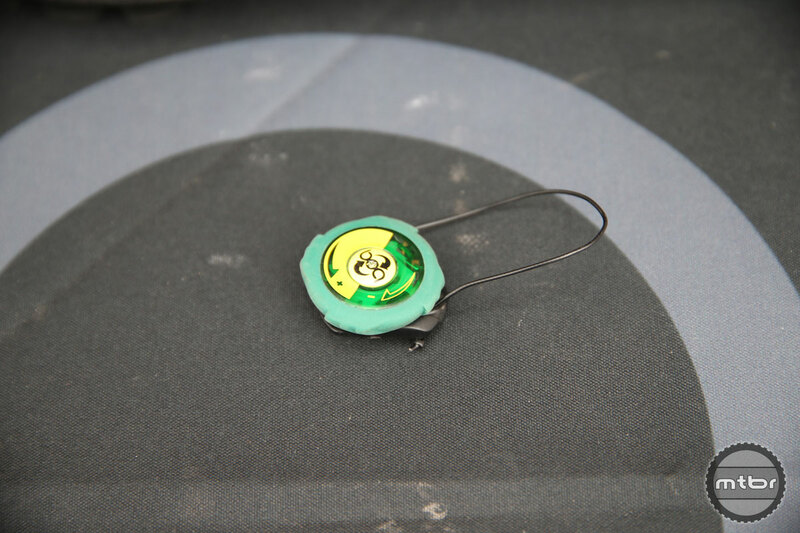 With the Boa S2-S platform, dial replacement can be done with no tools. 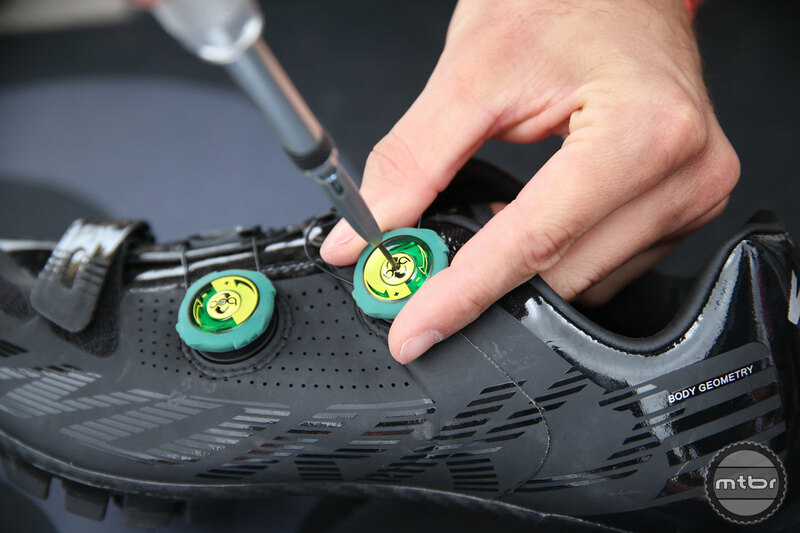 The S2-S dial snaps out and back in with ease if you want to change out the colors or replace a dirty dial. 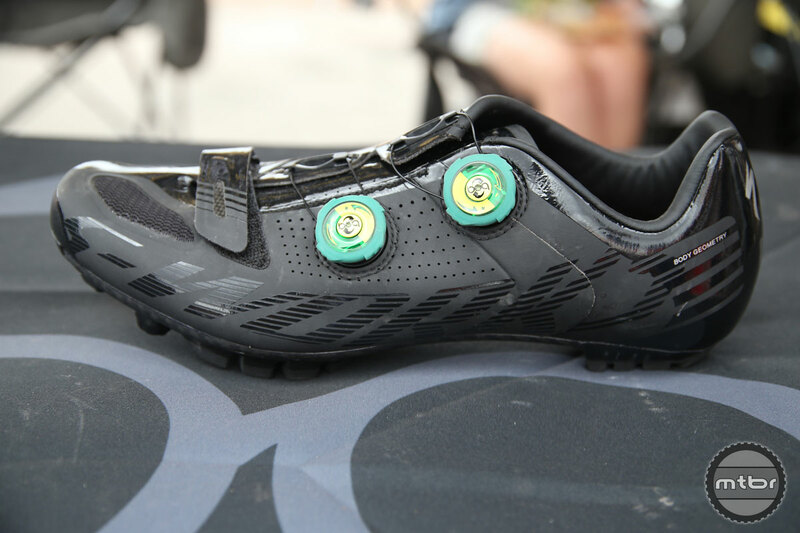 Boa is also showing off its new IP1 cycling dial on the Five Ten Kestrel shoe. 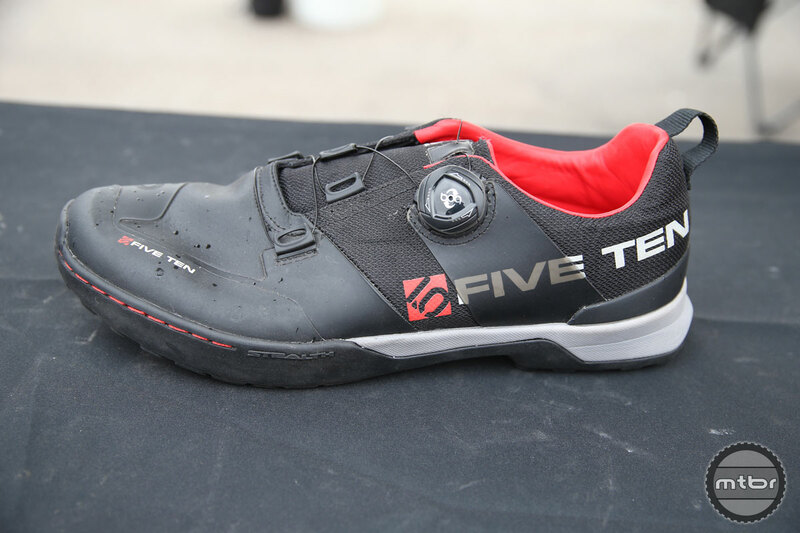 This walkable, hikeable shoe features the IP1 dial that can release completely. Boa also offers a lifetime guarantee on their products. The closure system of steel Lace, nylon guides and a mechanical reel was designed to address the long list of deficiencies found in traditional closures. 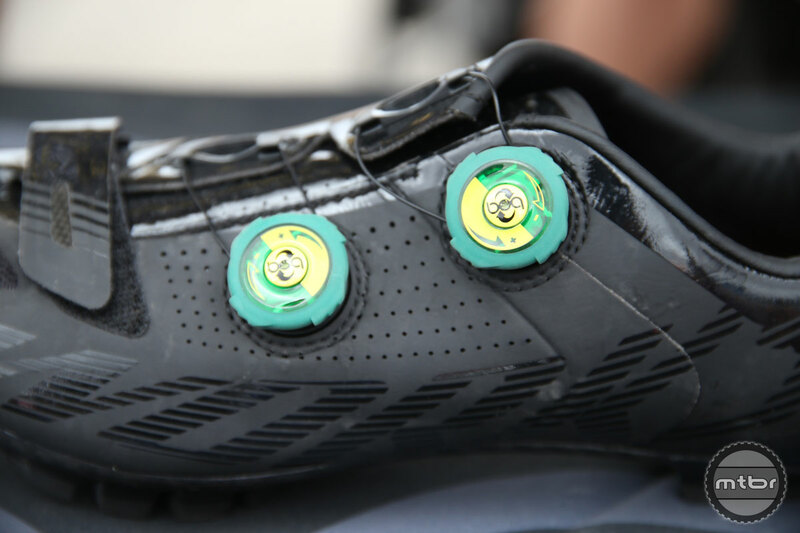 In the process, Boa improved upon the performance of every other closure system on the market—from laces to buckles, and ratchets to hook and loop systems. 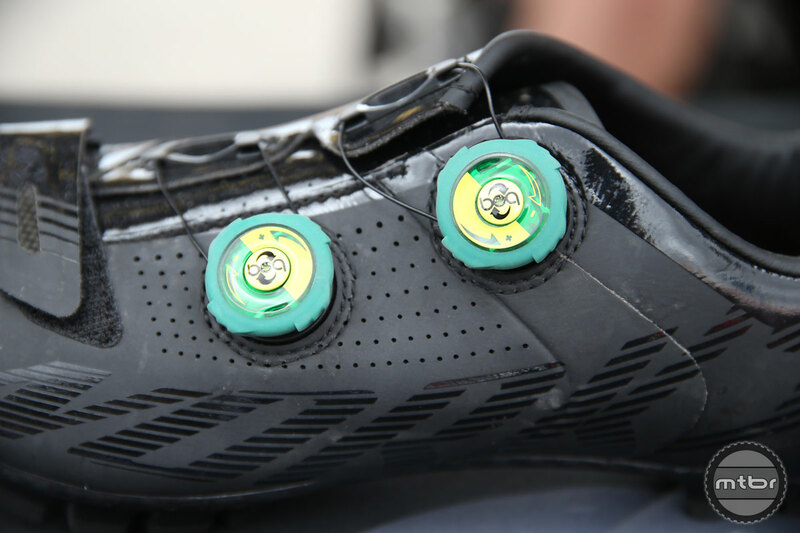 Unparalled fit comes courtesy of Body Geometry science, while the Boa S2-Snap dials make it ease to apply on-the-fly adjustments as you ride. Boa S2-Snap dials for on-the-fly micro-adjustment. A snug Boa closure system permits a custom fit with the turn of a dial. 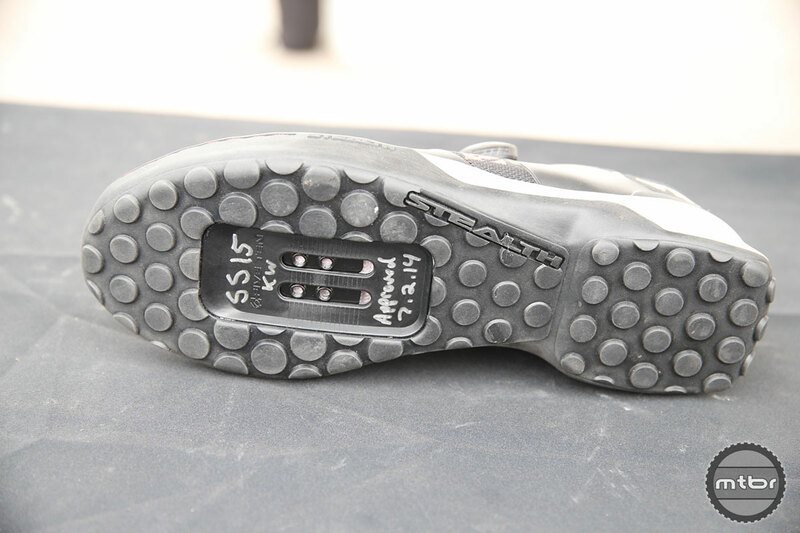 A proprietary dual-compound Stealth rubber outsole. 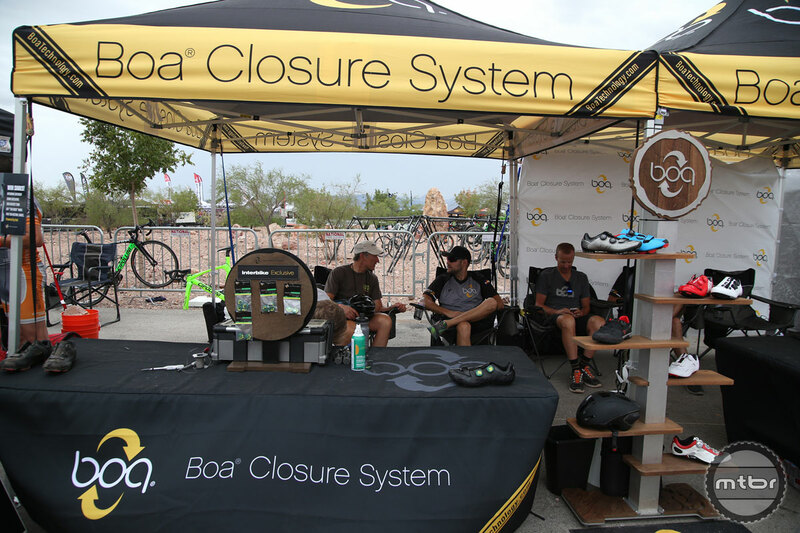 With over 25 million Boa-powered products worldwide, the award-winning, patented Boa Closure System is reinventing how shoes, medical braces, equipment, and nearly everything else performs. I’ve been using a shoe with BOA laces for 5 years or so now, they rock, and the warranty really is no questions. 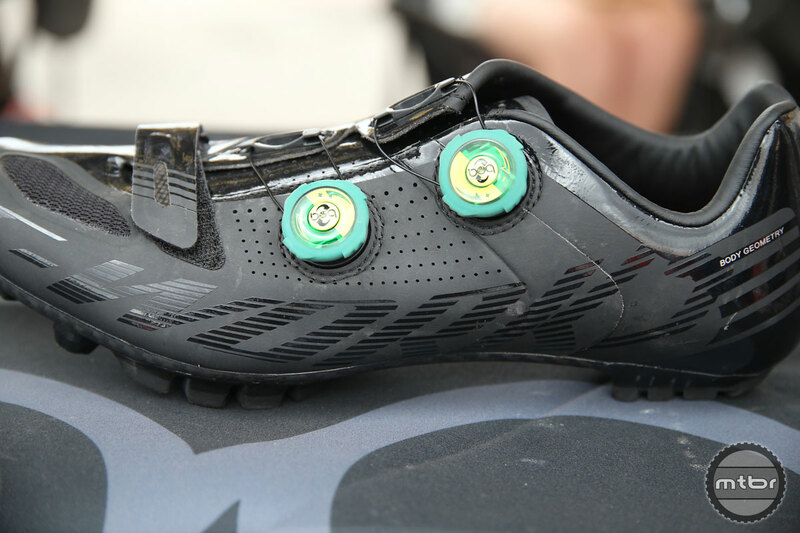 Perfect fit and so easy to adjust while riding.